Well, the summer’s end is near. School children across the country are getting ready for the new school year, with new bags, textbooks and loads of enthusiasm. It’s also the perfect time to take your child in for a proper eye exam. One of the most important things your child needs in order to do well in school is proper vision. As kids grow, some of their many developmental stages can cause changes in their eyesight. An eye exam helps to catch these changes. As you might have guessed, a lot of progress at school is accomplished with the use of a child’s eyes. Despite the overt correlation between vision and learning, many parents seem to be unaware of this, and don’t include a visit to the eye doctor as part of their child’s back to school to-do list. 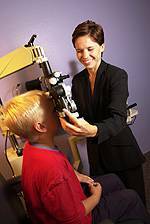 It’s important to know that because vision in children changes, regular eye care is necessary for success at school. School-aged children have the astounding ability to work with a vision problem. It is extra important to look out for the signs and symptoms of vision problems as your child progresses in school. Struggling to meet the demands schoolwork can make on a student’s eyes may noticeably affect their academic performance. New technology brought into the classroom, such as the use of interactive whiteboards, can also potentially heighten subtle but significant vision problems. If a child doesn’t have good enough vision, it isn’t just their school work that suffers. It’s mentally and emotionally taxing also. If your son or daughter has already been tested for and fitted with glasses, now is a great time to see if they need new glasses. Even though your child might be able to see with his or her current pair of glasses, they might not fit correctly or perhaps the lenses are not optimally positioned anymore due to normal development. The more a student feels comfortable wearing his or her glasses, the more likely it is that he/she will wear them. Make sure you make time to visit us when you’re gearing up for the new school year. 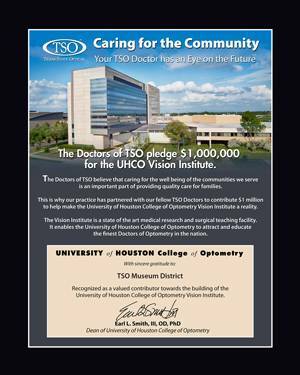 We’ll help all the kids we treat begin the new school year with great vision.